Neo4j at the 1st London NOSQL Exchange! 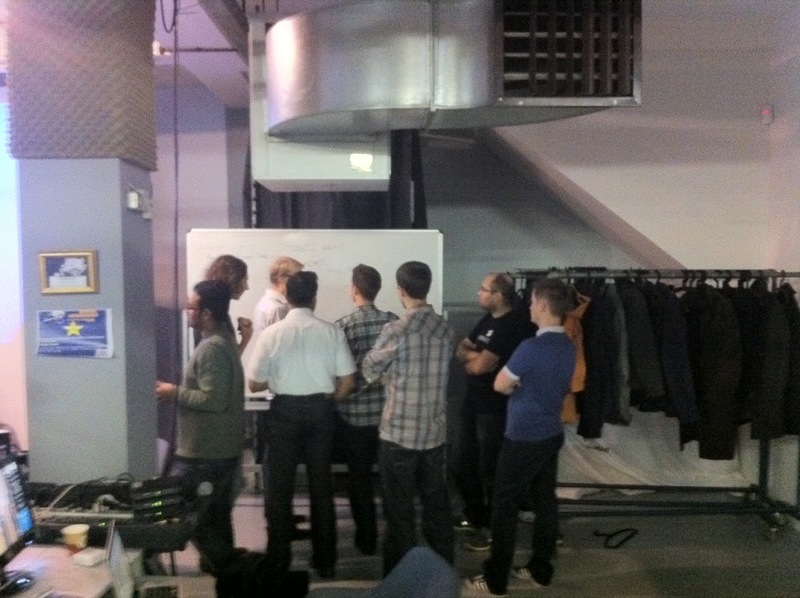 Last week saw the first London NOSQL Exchange organised by Skillsmatter and Neo Technology. And what a success it was, with around 100 attendees and excellent talks throughout the day leading to excellent local beers throughout the evening (and the inevitable local hangover the following morning!). The Neo4j team was out in force, with Jim Webber (me!) chairing and occasionally refereeing the speakers. Following the chair’s introduction, Neo Technology’s CEO Emil Eifrem gave us a state of the NOSQL union talk where he looked into the past present, and future of NOSQL, guided by a graph traversal of course! Emil’s talk reminded us of the impending “perfect wave” of data that is both voluminous and densely connected and highlighted where he thinks the various NOSQL database types are heading to try to accommodate this upheaval. In one of the afternoon sessions, Neo Technology’s Ian Robinson infected the audience with his passion for Doctor Who, and as a side-effect taught us all a great deal about Neo4j! Ian’s talk took us through the history of TV’s longest-running science-fiction show, and demonstrated how complex connected data can be managed within Neo4j, and importantly how business information (even geeky business information) can be mined from graph data using the cool Cypher query language. Wrapping this all up in mad cows and data provenance made for a hilarious and quirky look at how real world data concerns can be readily handled by Neo4j. Later in the day Robert Rees of Wazoku gave an experience report on polyglot persistence using Neo4j and CouchDB. In the Wazoku use-case Neo4j is used to map associations between ideas while CouchDB is used to store disconnected documents with minimal supervision. While we think Neo4j is a great choice for storing documents too, it’s fabulous to see that effective solutions can be built by combining NOSQL datastores in practice. All in all the NOSQL Exchange was a superb event, and it was great to see so many old friends and meet new faces. We’re hoping to do it again soon in London and perhaps even overseas too. So keep a lookout! This is a good blog, thanks. I am a person who is not very fond of technology but lately my job requires me to be aware of everything related to technology and know about Neo4j!through this blog and how I can manage my data is very interesting I would like to assist much to these conferences.